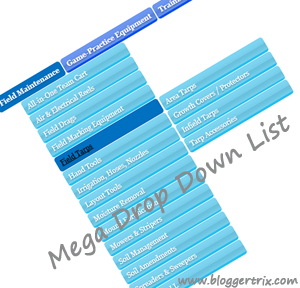 In this tutorial,im gonna explain how to addCSS3 Mega Drop Down Menu list to yourblogger. Actually you can link many morelink to this menu bar. check demo, you will get what i mean. Im using CSS and HTML for this tutorial. Few days also i posted about similar menu bar. But this is modified version of it. you can get old menu bar form here.